Bone up on your gaming knowledge with this gently ironic yet thoroughly informative guide to video game terminology, presented as a picture book for all ages. Attack! Boss! Cheat Code! A Gamer's Alphabet is an indispensable guide, a lively look at the language of video games that might actually bridge the gap between game-obsessed kids and their often-perplexed parents. Praise for Attack! Boss! Cheat Code! Video game players have their own jargon and much of it is foreign to non-gamers. My 11-year-old daughter ... was familiar with more of the words in Attack! Boss! Cheat Code! than I was, but we both appreciated Joey Spiotto's cute and colorful illustrations that accompanied the terms. My son ... could not stop reading this Gamer's Alphabet! I sent him off to bed at letter "O" and he carefully marked the page and returned to it the next day. 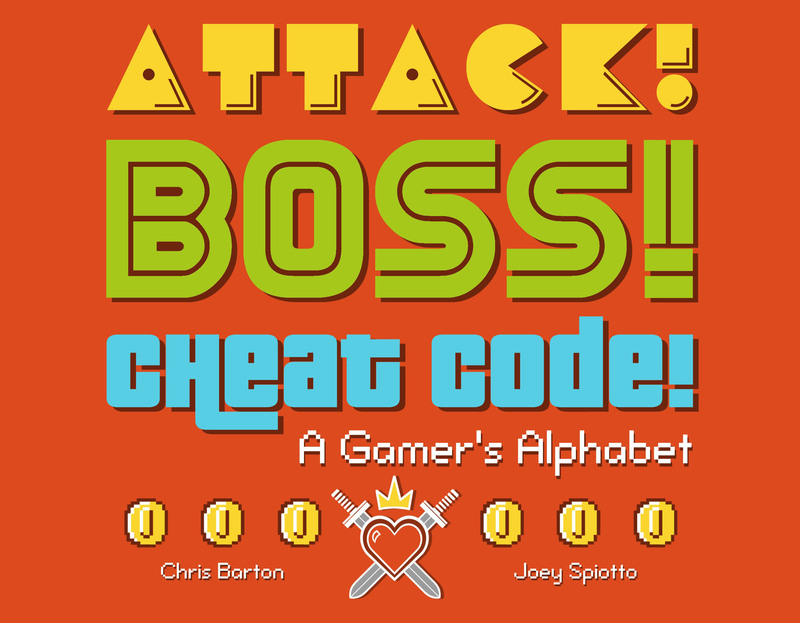 This is an alphabet book that gamers of all ages [will] love! It's informative, it's a little bit silly, and it works really, really well. For the gamer, or the game-interested kid, Attack! Boss! Cheat Code! is one to pick up. With vivid illustrations and tongue-in-cheek descriptions, this alphabet book brings children and their technology-illiterate parents into the world of gaming. [G]uides your game-obsessed 8- to 12-year-old to the engrossing world of books. ... It might even help adults understand what their kids mean when they talk about "griefers" and "sandboxes." [A] guide every gamer will enjoy. It's a starting point to promote understanding of the basics. ... [S]ure to pique interest, provide for discussion and get readers excited to begin or continue their gaming. It is a fantastic thing to read to kids. ... A great chance to just think about games and game terms and talk through it. [G]orgeously illustrated ... takes a lighthearted look at the lexicon of game culture. I really wish that we'd have had a book like this when our kiddo was younger as he was just starting out with the vocabulary. The vibrant illustrations reflect a few decades of games so there are visuals evoking everything from Mario Brothers to Minecraft -- making it a charming gift for game fans of all ages. Bartography: Collected posts about Attack! Boss! Cheat Code! Castle of Horror Podcast: Interview: Chris Barton, author of Attack! Boss! Cheat Code! Reading Through Life: It's Monday! What are you reading? Rutledge Library Blog: It's Monday! What are you reading?